I don’t recall the first time I actually saw it, but I’m guessing maybe six months ago. We have a daylight basement home facing Vashon Island and this one corner of the south wall is possibly landfill. We’re the second owners of the home. 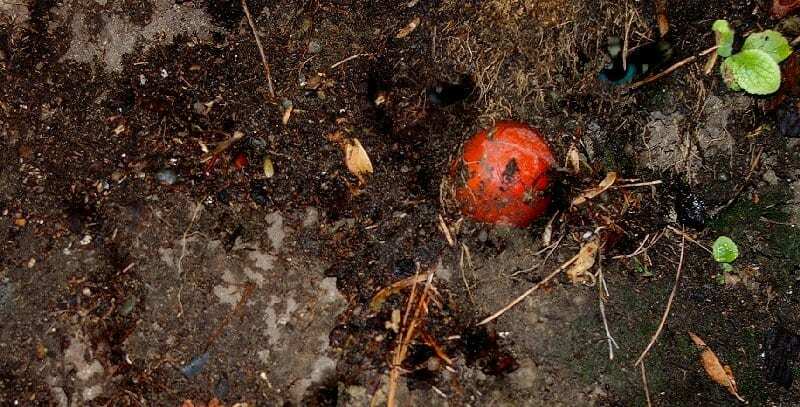 Perhaps, a squirrel uncovered the red rubber ball as it was burying a peanut. Our deck extends beyond our carport and covers the ground at this end of the house. Sometimes possums hide under the deck for shelter. Raccoons frequently live in our yard as well, so sometimes we find dead squirrels or worse buried in Peg’s flower garden or compost. 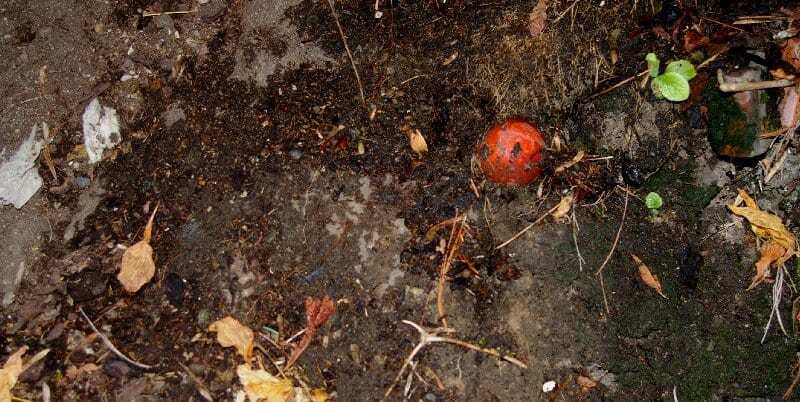 Perhaps, a squirrel uncovered the red rubber ball as it was burying a peanut. Several of our grandchildren have learned to shoot a soft pellet pistol in this same area under the deck. My office window is within a few feet of the corner of this house. I used to draw a wolf or a bulls eye for the kids to aim at. I taught them gun safety and they always wore eye protection. I know that if the grandkids had seen the red rubber ball they would have shot at it or pulled it out of the ground. Actually, I think it’s a red rubber ball, but it really reminds me of a clown nose. And that’s what bothers me. I used to draw a wolf or a bulls eye for the kids to aim at. Intellectually, I know it’s a red rubber ball, but I can’t get the thought out of my head that it’s a clown nose. I don’t understand what a red rubber ball or a clown nose would be doing in the ground, anyway. The grandchildren are older and rarely stay overnight with us anymore, and so I don’t shoot my plastic pellets in that direction. I don’t even like to go to that corner of the house. But still I wake up with the weird feeling that the red rubber ball is attached to the nose of a clown . . . but of course it couldn’t be. I wake up with the weird feeling that the red rubber ball is attached to the nose of a clown . . . but of course it couldn’t be.